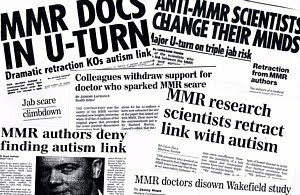 In 1998, Mr. Andy Wakefield published his now famous study in the Lancet, a respected medical journal, that claimed that the MMR vaccination (for measles, mumps and rubella) caused neurological disorders, especially autism, in children. His study was not well accepted by the medical community back in 1998, because of the small sample size and somewhat subjective analysis. However, science works this way. Someone proposes a hypothesis, and many scientists will jump to study it in larger and better designed studies. But Wakefield’s study became the center of the anti-vaccine universe. So, since 1998, there have been over 250 studies published that absolutely refute Mr. Wakefield’s hypothesis. Assuming that 75% of those studies were primary studies, which cost around $5-50 million each, then nearly $1 billion has been spent trying to confirm (or refute) Wakefield’s findings. And then we find out that Mr. Wakefield engaged in a massive fraud for personal gain, which can only lead us to conclude that the $1 billion was wasted. Maybe that $1 billion could have been used to find a real underlying cause of autism, instead of trying to support or nullify the original hypothesis. The vaccine companies (yeah, the Big Pharma conspiracy gambit doesn’t fly), physicians, researchers, and governmental health agencies were scared that one of the most important vaccines in the medical armamentarium to fight infectious disease epidemics might have some untoward consequence to children. So they did spend boatloads of money just to find the “truth” (as far as science can find said truth), not because they wanted to protect the status quo. In fact, all of the interested parties just wanted to protect our children, whether it was to make sure they are vaccinated against diseases or they are safe from the possibility of any dangers from said vaccines. In response to concerns, many changes have been made to vaccines. For example, thiomersal was removed as a preservative even though there was no evidence that it caused any harm, and even though it increased the cost of vaccines. Not long ago vaccines were sold in multi-dose vials, which could be kept in the refrigerator for a few days so that up to 10 people could be vaccinated by one vial. Now, because of the concerns of contamination, vaccines are more frequently sold in single dose syringes at a higher cost. But despite the absolute lack of any evidence whatsoever, the anti-vaccine lunacy continues. Christine Vara, in her blog, Shot of Prevention, reports that despite the lack of a link between vaccines and autism, the false belief persists. A new study, which investigated data from the National Immunization Surveys published between 1995 and 2006, confirms what public health advocates already suspected. As the Medical Daily blog reported yesterday, the study determined that “Childhood vaccinations decreased in response to the fears surrounding autism risks.” It’s remarkable that even today, despite the existence of widespread research that fails to show any link between autism and vaccinations, this false belief continues to persist. More children of college-educated mothers were not vaccinated than children of non-college educated mothers, with noticeable spikes in 2003, 2004 and 2006. 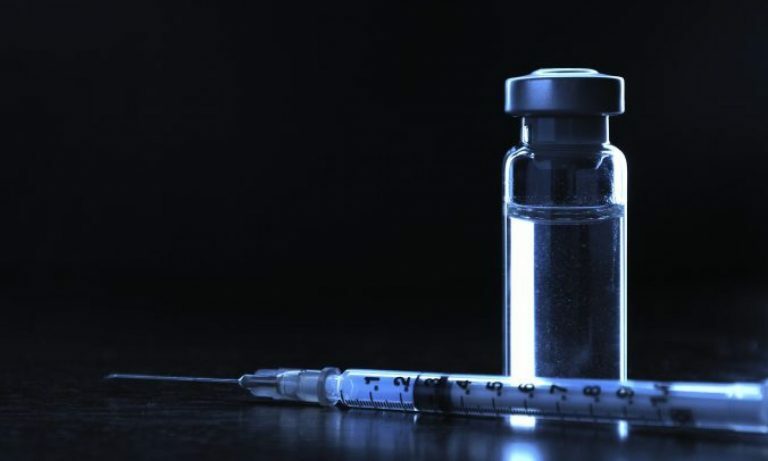 While the controversy centered on the MMR vaccination, the autism fear had an impact on other vaccinations, to include polio and the combination vaccine to prevent diphtheria, tetanus and pertussis. These observations ultimately lead to other relevant questions. Why are college-educated mothers more likely not to vaccinate than non-college educated mothers? Is it that the college-educated mothers were more aware of the Wakefield study from the onset, which influenced their decision? Is it that they trust themselves to independently research things, whereas non-college educated parents may be more inclined to take the recommendations of experts? And why is it that these college-educated mothers are not aware of the science that has since failed to prove any link between vaccines and autism? What will it take for these parents to eventually recognize the valid research that has been done and acknowledge that they are making decisions based on false information? If the study were expanded past 2010, in the time after Wakefield’s study was publicly criticized and ultimately retracted, would we find that the immunization trends were changing? We may also ask why Wakefield’s suggestions about the MMR were so easily expanded to impact vaccine hesitancy for various other vaccines as well. Clearly, there are parents who refuse some vaccines and accept others and then there are parents who won’t accept the MMR, but are willing to accept the measles, mumps and rubella vaccine as separate immunizations. So what is influencing these decisions and what can be done to ease parental fears? It’s hard to say why this is so. I think Ms. Vara hits a couple of important points, especially that as you receive more education (whatever the field), you just assume you can understand everything. I’m highly educated, but I don’t pretend to know how to fix my car beyond checking the air pressure of the tires. I could google all day long on “car repairs made easy”, and there isn’t a chance I would figure it out. Why do people think they can understand complex medical questions? The problem with how these people get their information is that a google search doesn’t not show quality of information. Too many people say to me “I’ll weigh the evidence that I find.” But I have a suspicion that they don’t actually weigh the evidence, because it’s difficult fore even seasoned researchers to evaluate the quality of evidence. Remember, the Lancet is a high impact high quality peer-reviewed journal, and it published Wakefield’s paper. But not all information on the internet is equal in quality. Some people go to PubMed database to find papers, but it does not have the full text for all papers (they should, but that’s another story). Without the full text, it’s impossible to determine the quality of the research, from the experimental design to statistical analysis. And more than that, not all publications are equal. As I’ve mentioned before, impact factor (which measures the amount of influence a journal has within the scientific community) varies from abysmal to highly respected. But whatever the reason may be for the persistence of the “faith” that vaccines harm children, it’s dangerous. Children are dying of measles, whooping cough, and other diseases. And these deaths resulted from one poor bit of research, published by a defrocked physician, who was out for his own personal gain. Wakefield should not be a hero to anyone. Vaccines save lives. And we have evidence for it.